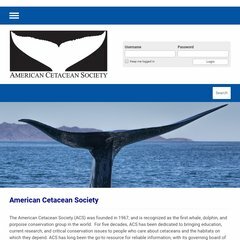 Topics: Publications, and Acs Monterey Bay Website. The estimated 115 daily visitors, each view 1.80 pages on average. whalematch.org Animal Tracks: Welcome to our Homepage! Its local IP address is 69.5.22.59. Its 3 nameservers are ns1.futurequest.net, ns2.futurequest.net, and ns3.futurequest.net. It is hosted by American Registry For Internet Numbers (Virginia, Chantilly,) using Apache web server. PING www. (69.5.22.59) 56(84) bytes of data. Website load time is 280 milliseconds, slower than 93% of other measured websites. As well, a ping to the server is timed at 47.0 ms.